In the very early nineties, the Democrats were as obsessed with cocaine as they are now are with Russia. The cocaine in question was alleged to have been bought by Vice President Dan Quayle. The 1992 election was coming up. The decades of corruption, slime and lies by the Clintons were about to pay off. But that’s not how it looked then. President George H.W. Bush was enjoying high approval ratings. Bill Clinton would weasel and claw his way to the front of the line largely because the election seemed like a lot cause for the Democrats. But the Clintons still had plenty of dirty tricks left to play. The Quayle cocaine story was one of them. Like most discredited Democrat smears, it was forgotten once it was no longer needed. It’s hard now to understand how so many reporters and politicians could be sucked in by a ridiculous smear campaign. One of the Quayle accusers had confessed to lying both to prison officials and to 60 Minutes. "This guy not only flunked the lie detector test, but he broke down and cried in front of Morley Safer and said that he had made it up because he wanted to get out of jail," Don Hewitt, the executive producer of 60 Minutes, recollected. But the more the story came apart, the more new conspiracy theories were spawned to bolster it. Like Michael Wolff’s smears, it was too good for the left not to believe. Much like Russian collusion, the story quickly shifted from whether Quayle had actually bought drugs to whether the Bush administration had tried to cover it up. The shift from a specific criminal accusation to nebulous conspiracy theories that can never be disproven, but that empower open-ended witch hunts, are a hallmark of Dem smears. The Mueller investigation likewise isn’t actually hunting for Russian collusion, but trying to entrap President Trump with accusations that he covered up a crime that it can’t prove ever happened. The second phase of a smear is to use the damage control tactics of the victim to create its own crime. The dubious original accusation, Quayle’s drugs or Trump’s Russian plot, never needs to be proven. It only needs to be shown that the target attempted to defend against the accusation. Why does an old discredited Dem smear matter? Because it shares a number of troubling similarities with the Trump Russia smear, including the Clinton political operative who may have originated it. In his syndicated column, Thomas Oliphant traced the popularization of the cocaine smear to Cody Shearer’s contact in the DEA. "I've known him for a long time and like him, but that wouldn't stop me from looking out the window if he told me the sun was shining," the columnist wrote. 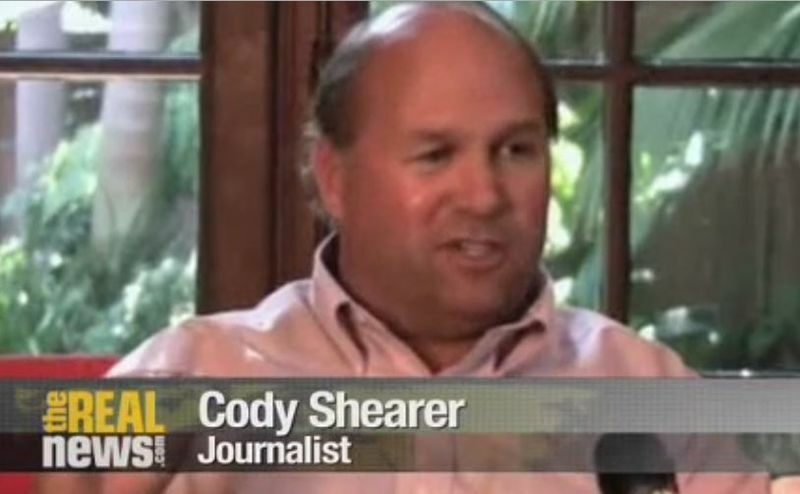 Cody Shearer is also the author of another Russia-Trump dossier used by the FBI, a memo that Steele, the author of the better known dossier, passed along. How did Steele come to possess Shearer’s memo? Shearer was one of Bill’s plumbers, notorious for spreading and circulating scandals aimed at Republicans. He’s also been accused of targeting and intimidating Bill Clinton’s victims. Is it more likely that a British agent happened to independently come across a memo by a Clinton political operative that echoed his own material or that his dossier was based on the memo? Was the Steele dossier an original piece of work by a former British intel agent doing his own research or had he been hired to put some meat on a conspiracy theory created by a Dem political operative? We don’t know the answer. Yet. But it’s quite possible that Steele, Russian intel operatives and all the other elements of the vast campaign were never more than window dressing on a smear from the same guy who had peddled the Dan Quayle cocaine story the last time the Clintons needed help. The Steele dossier, with its sloppy fact-checking and lurid tales of prostitutes urinating in a Moscow hotel, is far too unprofessional to be the work of a British ex-intel agent, but it reads like a Cody Shearer smear. Nasty and vicious has always been Shearer’s stock in trade as a variety of Republicans can testify. The successful Shearer smear is a conspiracy theory built around a shocking image. A prisoner kept “in the hole” to stop him from testifying about Dan Quayle buying drugs or Senator John Tower starting a hotel fire in Dallas by drunkenly dropping a cigarette on an armchair. That’s followed by accusations of a cover-up, by Bush, the DEA, the CIA, the Russians, the Bureau of Prisons, and the media does the rest. The Trump smear follows that same nasty pattern. And there are other curious overlaps. Before Fusion GPS, there was Investigative Group International (IGI). Like Fusion GPS, IGI was a shadowy organization that specialized in digging up dirt for insiders. IGI’s boss was a longtime Clinton pal and the organization was turned loose on Bill Clinton’s political enemies. Shearer was accused of working as a subcontractor for IGI to go after George H.W. Bush and Dan Quayle. Like Fusion GPS, the Quayle push appeared to have married a politically connected journalist with an investigative firm and political sympathizers inside law enforcement to try and influence an election. The Los Angeles Times reported in ’91 that a “free-lance journalist” had told the paper that an assistant U.S. attorney had tried to persuade the DOJ to conduct a sting operation by trying to sell cocaine to Quayle. No one involved in this story was named, but reports from the era showed that Shearer had been heavily involved in pushing the Quayle smear. That particular sting was never approved. 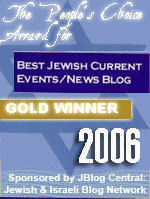 But another sting operation aimed at the Bush campaign was. The FBI conducted a sting of James Oberwetter, the chairman of Bush's Texas campaign, offering him a supposed wiretap of Ross Perot's phones. “The decision to use an undercover agent as a step in a carefully constructed investigation came only after lengthy consideration in Dallas and here in Washington,” FBI Director William Sessions wrote in a letter to the New York Times. Bush told Oberwetter that he would review the FBI’s conduct after the election. But there was no “after the election” to speak of. Before Comey, Sessions became the only other FBI director to be fired. Like Comey, Sessions had attempted to navigate the abuses of a politicized FBI by grandstanding. And he paid the price. By ’93, he was another casualty of the Clinton efforts to further politicize the FBI. "I always defended the FBI, but not anymore," President Bush would later reminisce. There are still many questions to be answered about the Steele dossier. But the most important question is how a piece of opposition research was transformed into a law enforcement matter. And what is most troubling is that it may not even be the first time that the Clintons have pulled that off. The campaign against Trump is unprecedented because of the scale of the abuses. The collusion between Obama government officials and Clinton campaign personnel transformed opposition research into a license for surveillance on the political opposition. A conspiracy theory from the Clinton campaign became leverage for delegitimizing and trying to reverse the results of an election. And the conspiracy theory that elements of the FBI loyal to the Democrats relied upon to attack Trump originated from the deepest sewer in Clintonworld that had been covertly smearing political enemies for decades. "The evil that men do lives after them; the good is oft interred with their bones," Antony tells the Roman mob. The Clintons are done. But their legacy lives on after them. The Russia conspiracies and the Mueller investigation continue to divide this nation even though Hillary’s political career is deader than Julius Caesar. Fusion GPS is still around. So is IGI. And there are other organizations like them out there. 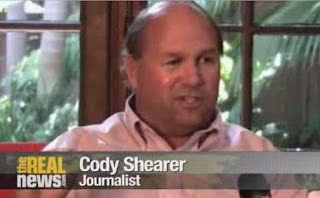 There will always be political operatives like Cody Shearer out there. But if we don’t insulate law enforcement from them, elections won’t be determined by voters, they’ll be decided by political coups disguised as scandals. The establishment and its private police state will decide who runs the country. After Hillary’s Reset Button with Russia and Obama’s hot mic vow to show Moscow more flexibility after the election, the Democrats now spend all their time claiming that Trump is secretly working for Putin. And must be removed from office. That’s not how we do things in America. But it’s how Putin does things in Russia. Even as the Democrats pretend that they hate Putin, they fantasize about jailing their political opponents the way that Vladimir Putin does. Using police surveillance to spy on your enemies is a KGB tactic. So is accusing them of secretly working for foreign interests and trying to arrest them. The final tragic irony of the Democrat’s Russian conspiracies would be to make America just like Russia. Daniel - Great article. Shows again that history didn't begin when President Trump was elected. Correction in Para. 3 - I think you meant "lost cause", not "lot cause". As always Daniel, a brilliant piece! So let me see the secret data behind the memo, and let me make my own decision. 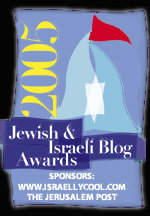 Daniel, your articles are becoming as important to me as listening to Rush every day. Thanks a lot! After reading this Sultan, I don't think we have much hope. The left is convinced of the righteousness of their cause and will do anything to obtain power. After the memo was released, the left attacks Trump. Unreal. Other than violence which I don't condone - I don't see how this gets any better. As Trey Gowdy recently said about retiring, he doesn't think the end justifies the means and in politics it's all about winning. It's a very sad state of affairs in politics the lengths to which some will go to win. Very enlightening. A couple of small points. Quayle was accused of buying pot (by Brett Kimberlin). And even with the smears and the bs, Clinton would not have won but for Ross Perot. This was a great piece. This history clearly shows the depth of corruption in the FBI, and it has to be assumed, the Justice Department also. The left doesnt recognize the authority of Trump to restrict immigration but it does recognize the authority of Obama to not deport dreamers. I feel like I am living in a fantasy world. Have you missed the point.The Clintons must stay with there head in the game for their charity foundation. If they can prove that they have influence in things that matter they will have donations coming in to their personal cause, their fund. And Obama is staying involved as well because as long as the Democrats have a chance he has his own realms of influence working well and without him there his believes fall away. PS And pray tell what and who are they?